BSC Outdoors offers float trips on the Big Piney and Gasconade Rivers. 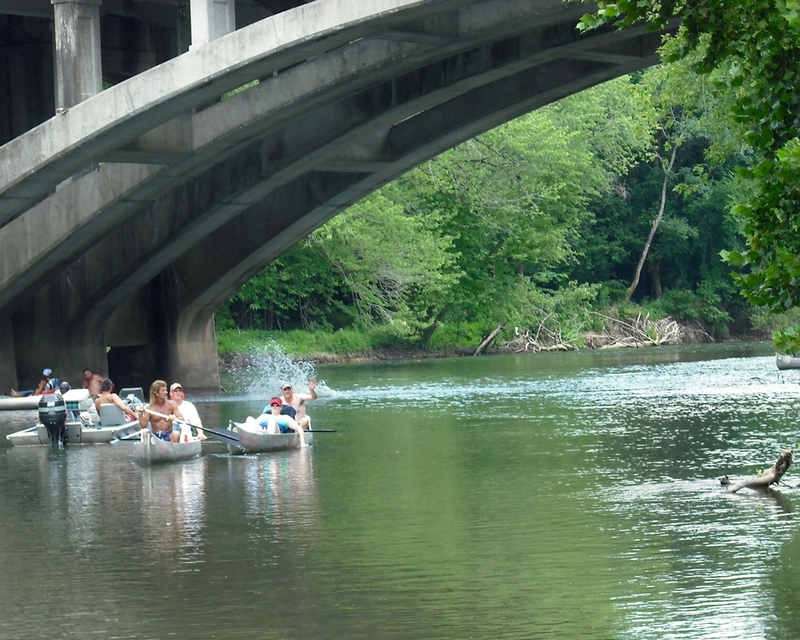 We rent canoes, rafts, kayaks, tubes, and Jon boats. For our regularly scheduled 3, 5, and 8 mile one day float trips we shuttle you up river to the put-in location where you float back to the campground. Please see detailed information and maps on the two rivers below. All information is provided by missouricanoe.org and USGS. 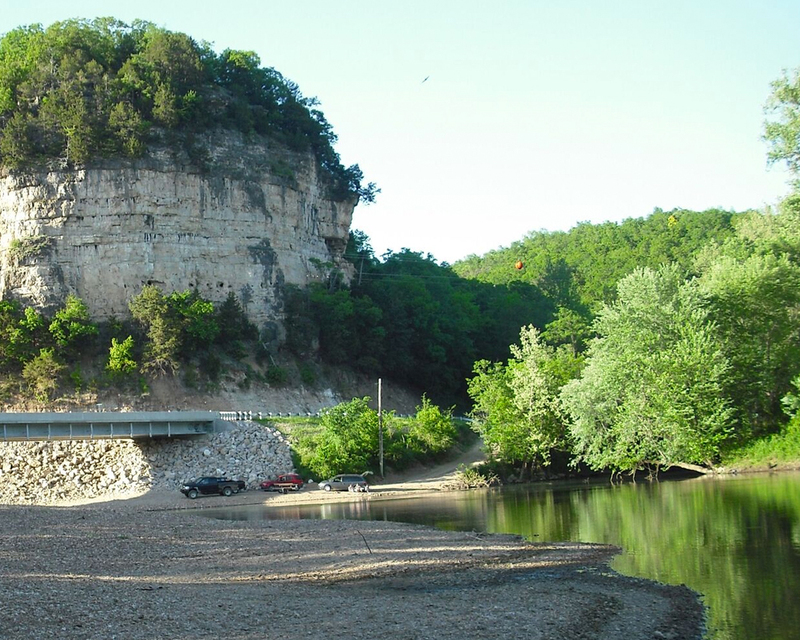 The Big Piney is the largest tributary of the Gasconade River and is rated as one of the best fishing streams, especially in its upper and middle reaches where you can view limestone bluffs topped with pines and where there is a good chance to see wild turkey. Numerous good-sized and beautiful springs feed the river so that it is floatable throughout the summer, except in especially dry years. Difficulty: I, seldom II except in high water. Reserve Your Trip on Piney River Today! The Gasconade is reputed to be one of the most crooked rivers in the world. Entirely within Missouri, the river winds nearly 300 miles from its source near Hartville to the Missouri River, which is an airline distance of about 120 miles. In an area near Waynesville, you can float for 15 miles and be only two miles overland from your put-in. Although it has less gradient than some Ozark rivers, the Gasconade has some surprisingly fast sections, yet is still a good, safe family float stream. Gradients: general-2.6; Hwy. 38 to Grimes MiIl—-6.2; Competition-4.I; to Hwy. 32-3.2; to Hwy. 66-3.1; to Hwy. 7-2.7: to Hwy. 17-2.4; to Big Piney Rjver-2.6; to Indian Fold Bridge-2.2; to Hwy. 89-1.8; to Hwy. 50–1.7; to Missouri River -0.8. Counties: Wright, Laclede, Pulaski, Phelps, Maries, Osage, Gasconade. Reserve Your Trip on Gasconade River Today!